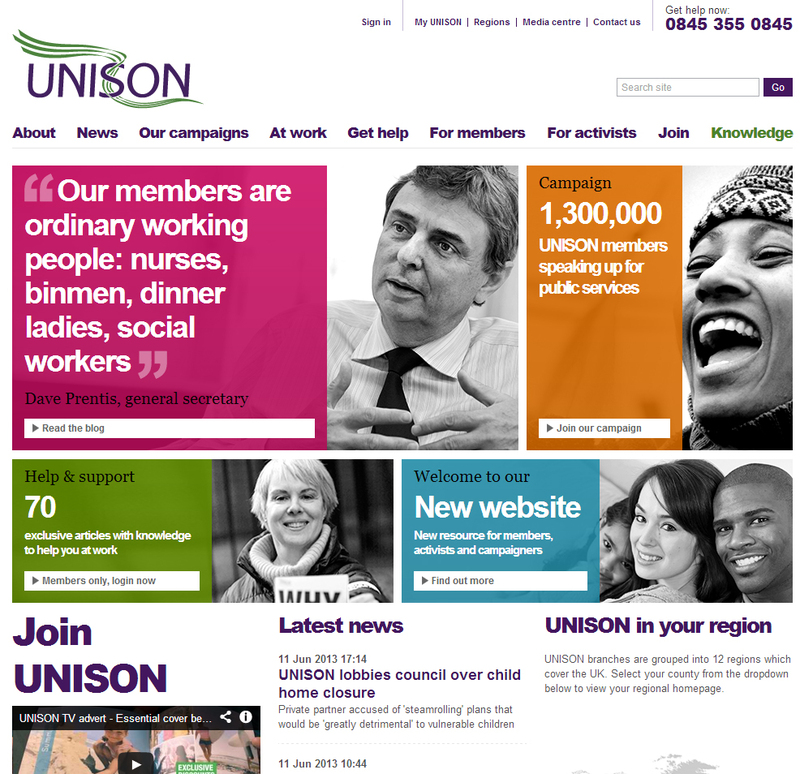 UNISON have launched a brand new website. This site has been in development for well over a year and contains lots of new features such as the ‘Knowledge’ section. UNISON Knowledge is our member-only hub for information on employment rights and key issues affecting people in the workplace and at home. It provides up-to-date and legally checked guidance, answers to common questions, links to useful external sites and access to supporting materials from various UNISON departments. Some of the topics covered include Discrimination, Health & Safety, Pay, Pensions and Employment rights. To access the full site you will need to be logged in. If you are a UNISON member then you can simply login using your membership number. Visit My UNISON to register. From there you will also be able to update all your details.